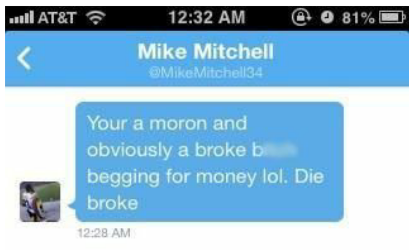 MIKE MITCHELL: “No Twitter For You”! | "IT'S A STEELERS WORLD"! MIKE MITCHELL: “No Twitter For You”! Sid Saraf of foxsports.com reports tonight that the Pittsburgh Steelers have banned their starting free-safety, Mike Mitchell, from using Twitter. Mitchell posted the below tweet after the game as a general statement to his followers, which seemed to follow suit with how he has handled his Twitter account all season. Really Mike? You think that this is the way a Pittsburgh Steeler is supposed to act. 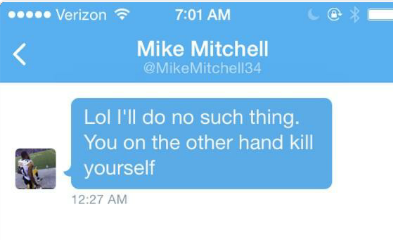 To tweet to a person..fan or not..to “kill yourself”..is deplorable at best. Something that a rookie not used to the pressure would do. Oh..but that’s not all..
..not as bad as the previous tweet, but one to let the instigator know that they have gotten under your skin. I know, because I instigate Steelers haters, non-steelers players and the media on a daily basis. The only difference is..”I CAN”! 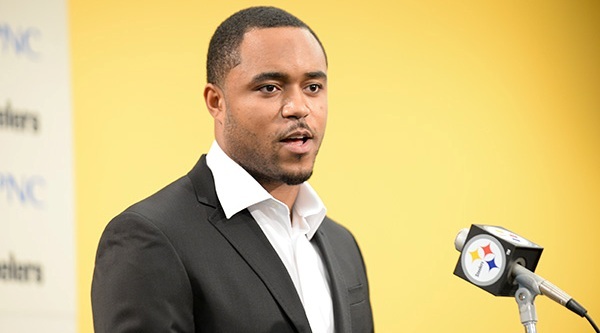 You, Mike Mitchell..you are a member of the Pittsburgh Steelers! One of..if not the best organization in all of professional sports, so you need to act as such. Tweets like..